TireMoni tpms TM-260 Tyre Pressure Monitoring System. 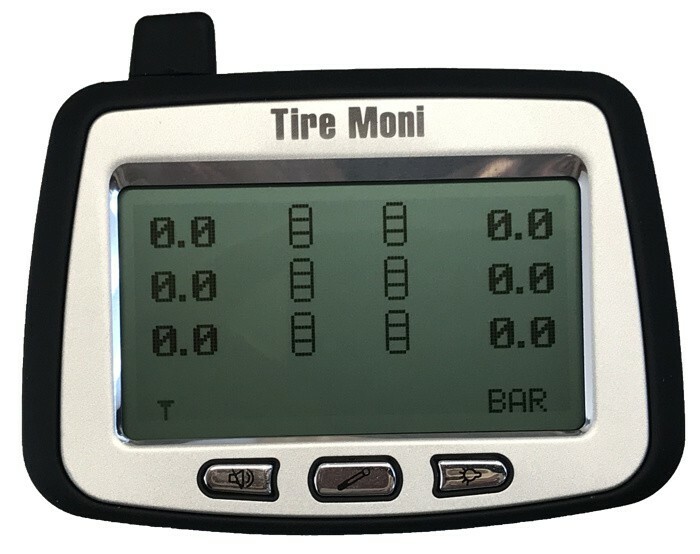 6 sensors, measurement range up to 11 bar (160 psi). 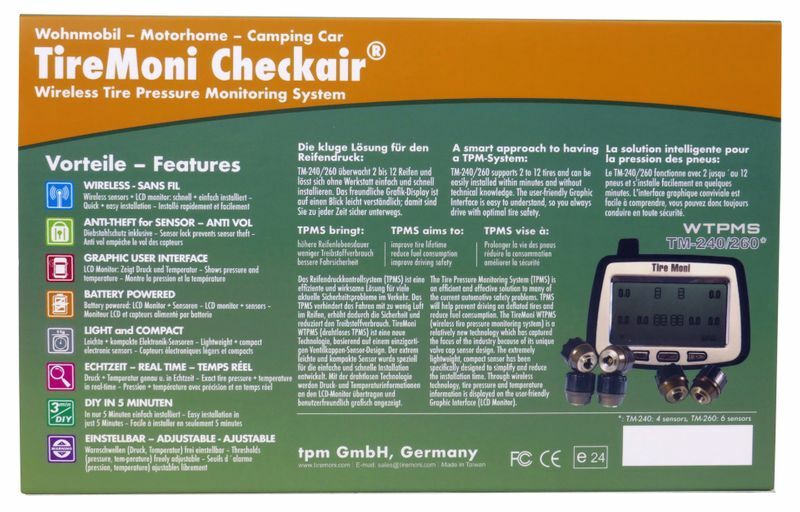 Ideally suited for recreational vehicles (campers) and light trucks with 6 wheels and tyre pressure above 4 bar (60 psi). Save money and protect our environment TireMoni: One look - all wheels: a good safety feeling! 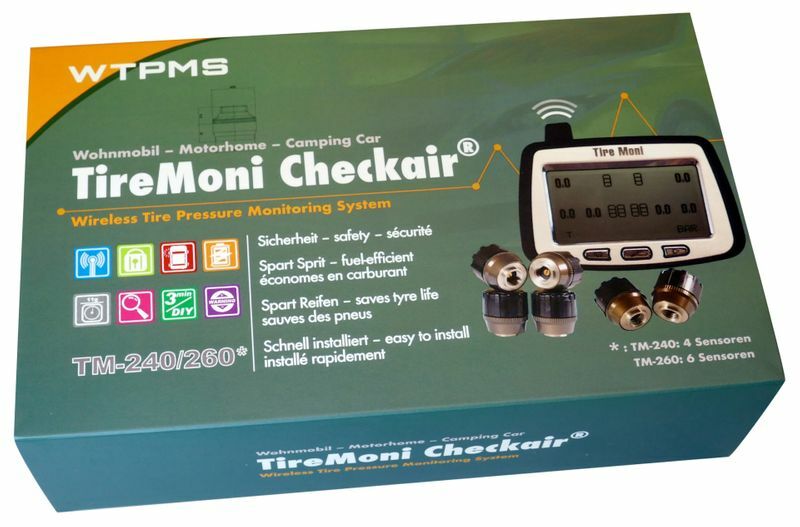 TireMoni tpms TM-260 Tyre Pressure Monitoring System. 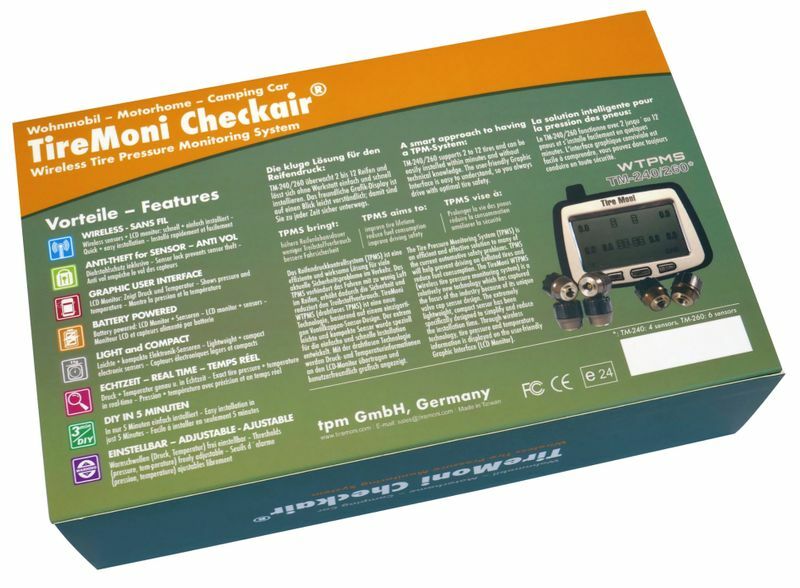 6 sensors, measurement range up to 11 bar (160 psi). 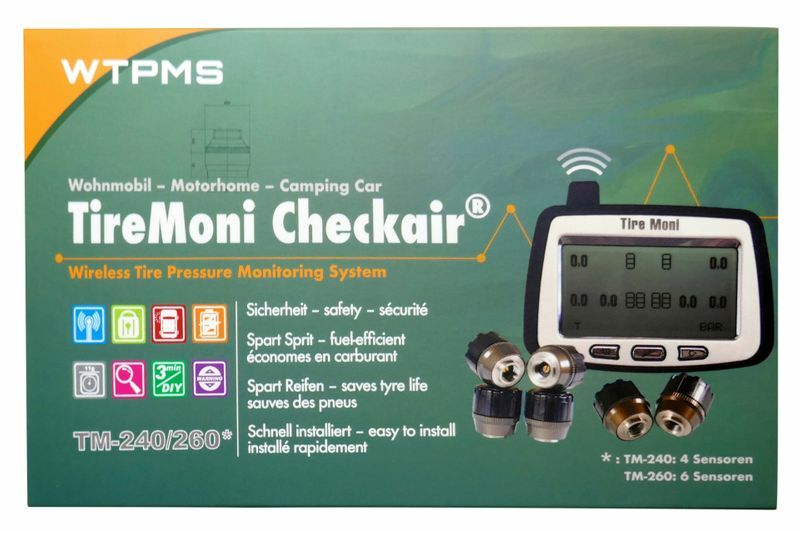 Ideally suited for recreational vehicles (campers) and light trucks with 6 wheels and tyre pressure above 4 bar (60 psi). 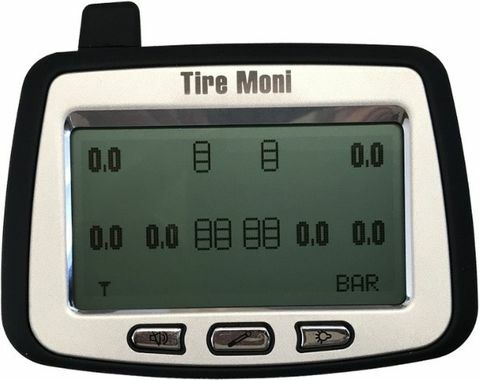 TireMoni TM-260 permanently displays all 6 current tyre pressure values.